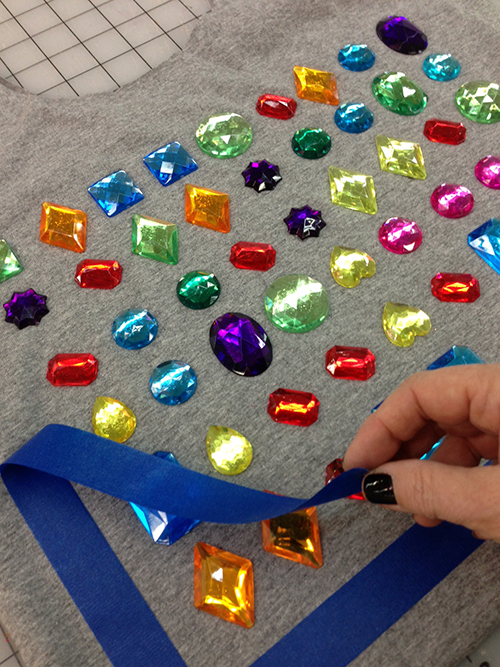 I love a little bit of bling during the summer, so when I saw a giant bag of rhinestones at the craft store the other day, I knew I had to make something fabulous with them. Inspired by all the crazy Candy Crush talk in my family and at the office, I made this colorful and sparkly bag! It's the perfect tote to match my Candy Crush Color Bomb ring I made last week. Here's how you get the fun look for yourself! 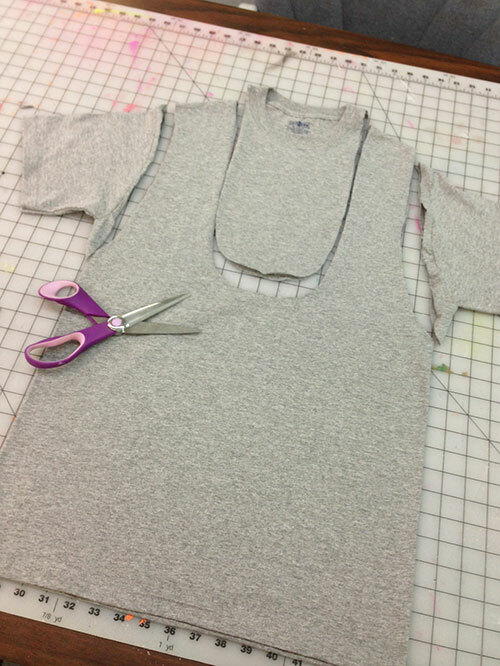 Cut out your tote back from a plain shirt! 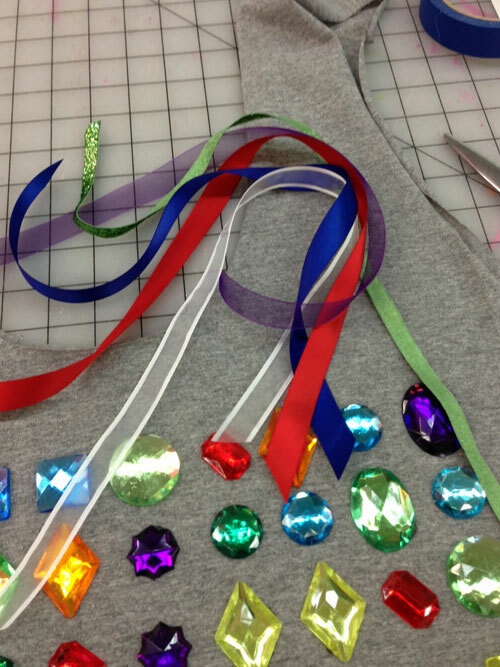 This a great way to revamp that old tshirt in your closet. As you can see, the bag is already taking form with just a few cuts. 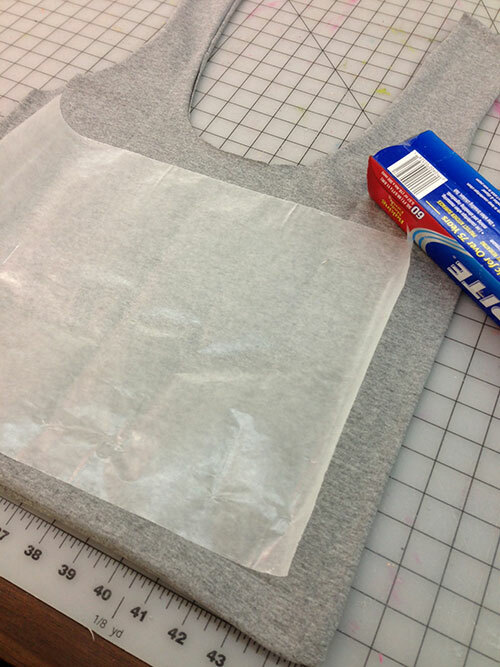 Sew the bottom of the bag shut with your sewing machine. 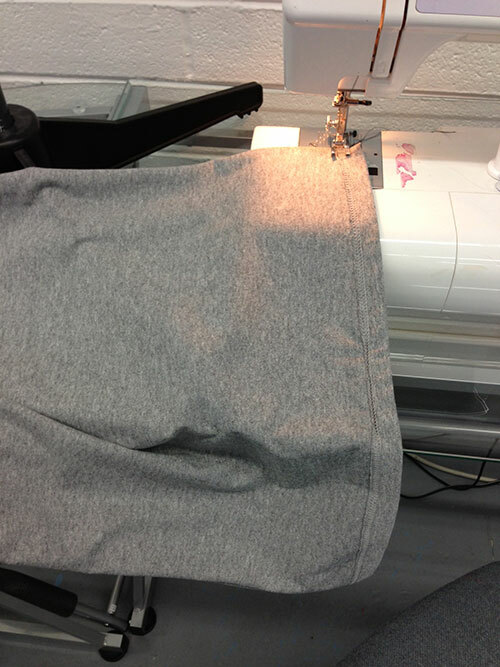 You can also hand sew if you don't have a machine. Rip off a sheet of wax paper and insert inside of the bag. It's there to protect the other side of the bag when you glue. Rip off a few pieces of the masking tape and make a giant rectangle with the tape on the front of the bag. 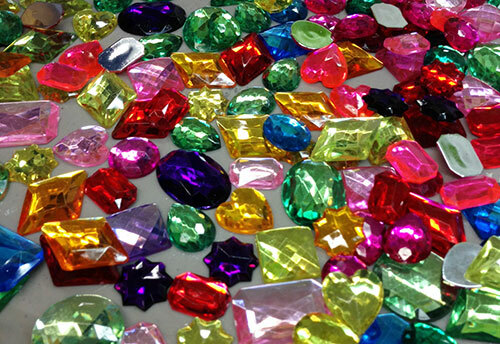 Arrange your gems in Candy Crush fashion. Make sure to have some in groups of three or four just like the game! 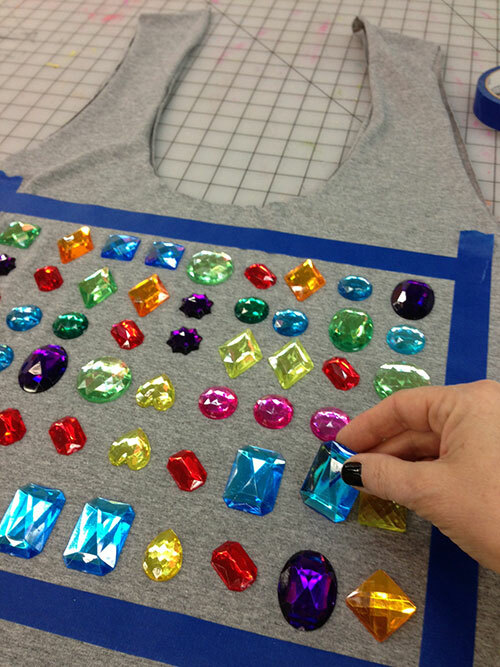 Now apply a small amount of Fabric Fusion to the back of each rhinestone gem and press in place. 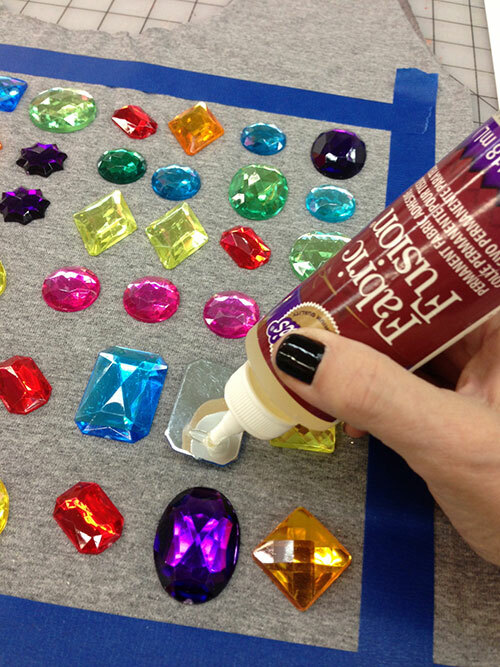 Remove the tape guideline around your piece and let dry. Cut several pieces of ribbon in 2 feet sections for each. Gather together and tie around the handle for a fun and whimsical touch to your bag. I also added my little Color Bomb ring I made last week as a cool accent to my bag. Here's a couple details of my bag! 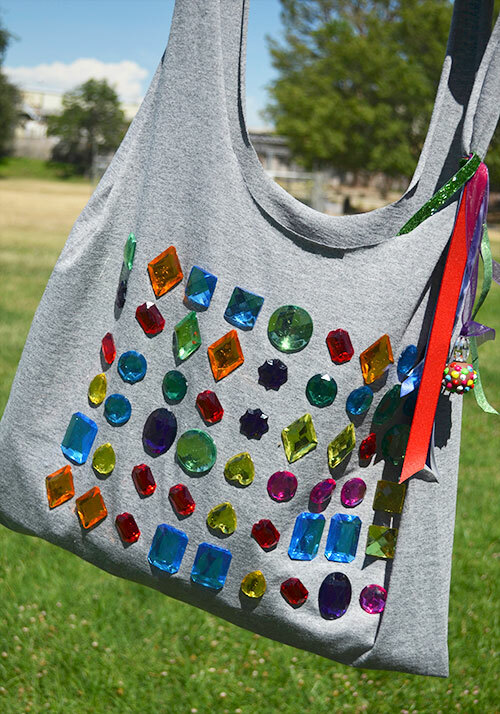 It's going to be my new summer market tote/ So sparkly and fun! 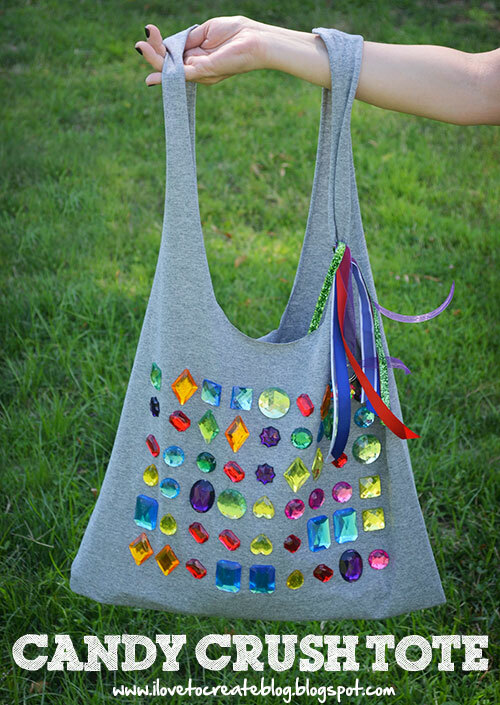 You have the wrong game...it isn't a Candy Crush tote, it's a Bejeweled Game Tote. Those are gems not candy. 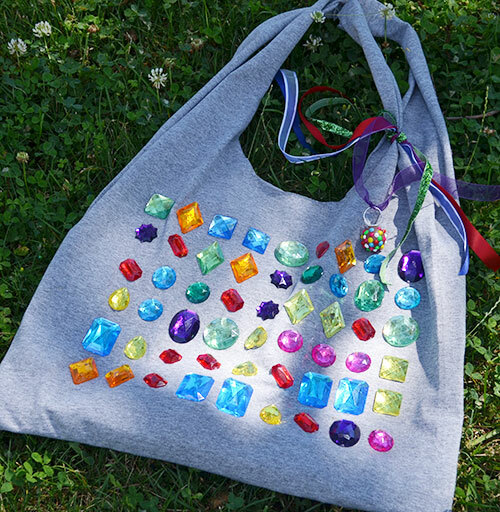 Candy Crush / Bejeweled - its a game and it is a super cute tote!! :) Thanks for the idea!! I hate negative, but how long until they fall off? I can say that it's going to hold forever, because that glue is serious! And I was totally inspired by the Candy Crush game, but it would have been weird to glue candy to a tote, so I used those giant jewels. So it accidentally works for both! teehee! too stinkin cute. Thanks for sharing this one. My kiddos are going to have fun this project. Thank you for sharing useful information here.